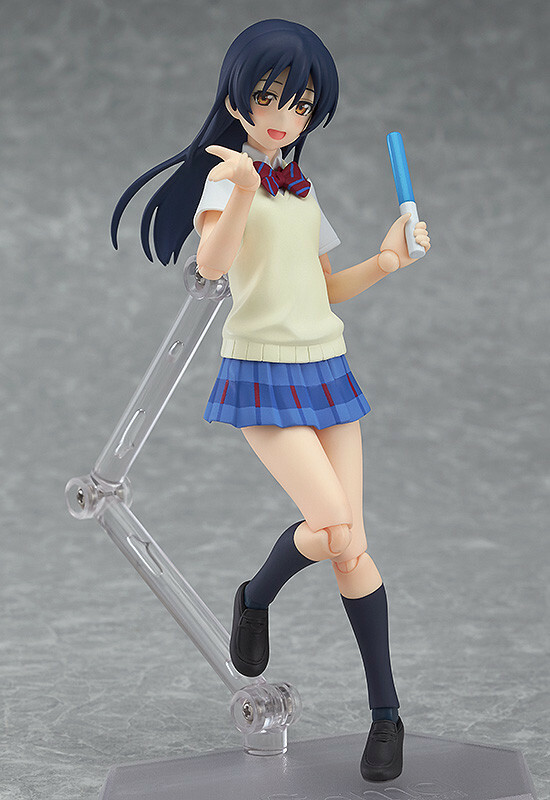 "I-I'm going to be a figma?! 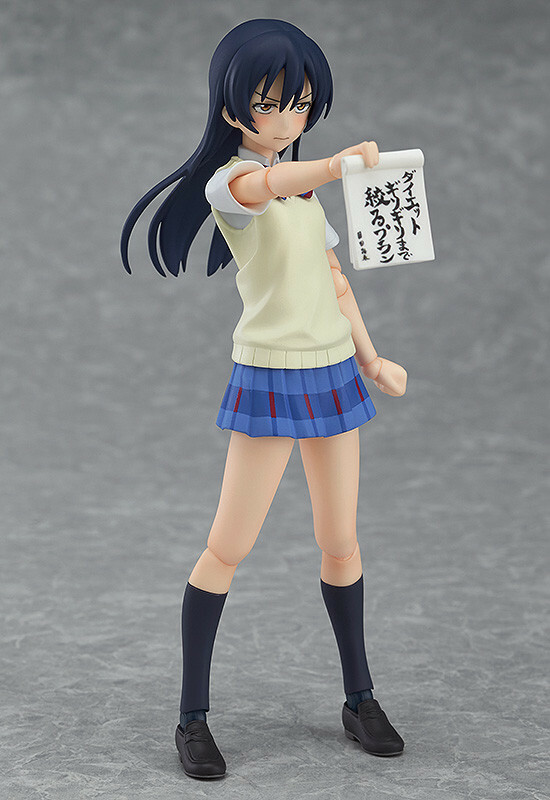 That sounds embarrassing!" 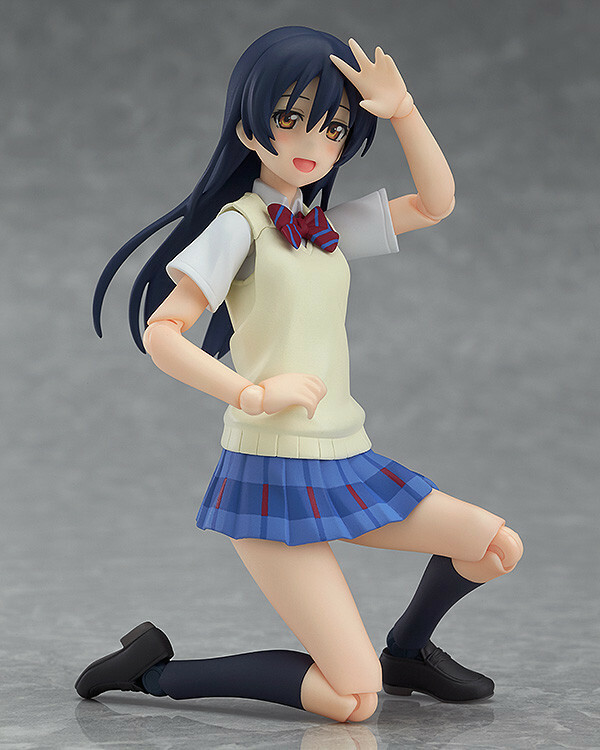 Three expressions are included: a smiling expression, an angry expression to get upset with Honoka and an embarrassed expression that suits Umi-chan's personality perfectly. 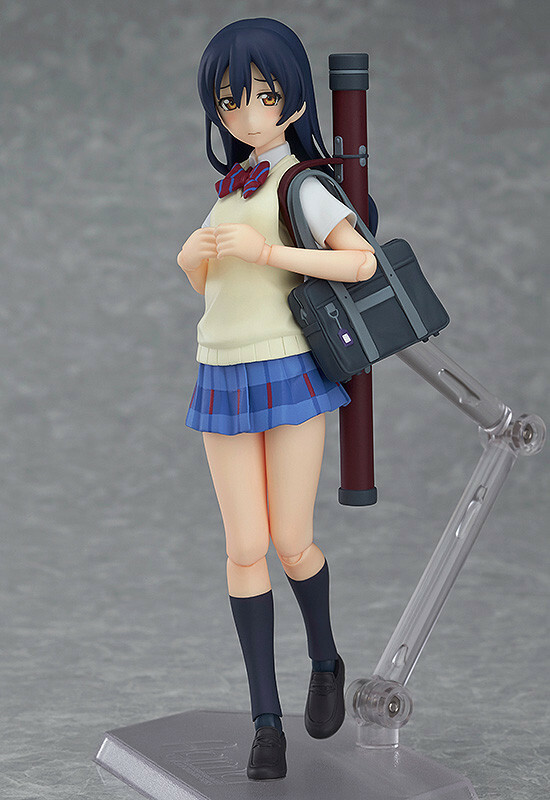 Optional parts include her school bag, a quiver to show that she is a member of the Kyudo club and the diet plan from the second season of the anime. 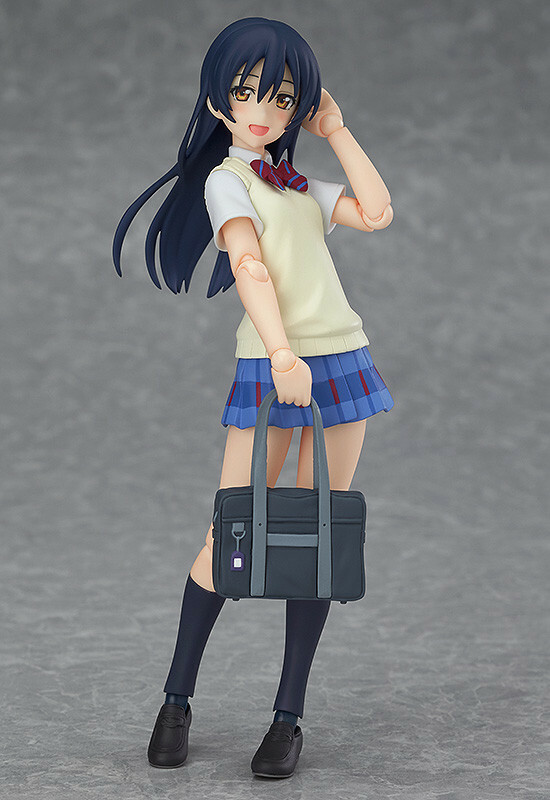 Preorders will be open from 6th August 2015 (Thu) from 12:00JST until 2nd September 2015 (Wed) at 21:00JST. 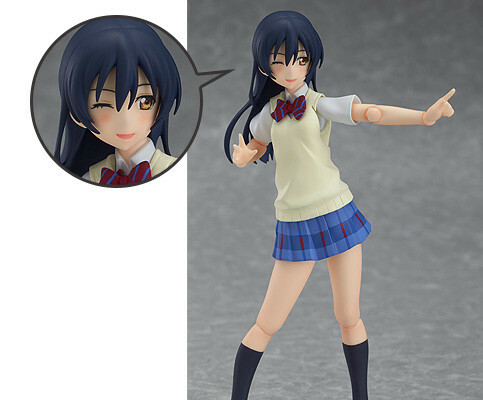 Preorders of figma Umi Sonoda from the GOOD SMILE ONLINE SHOP will include a Blowing Kiss Expression as a bonus!